Welcome to another installment of If My Book, the Monkeybicycle feature in which authors shed light on their recently released books by comparing them to weird things. 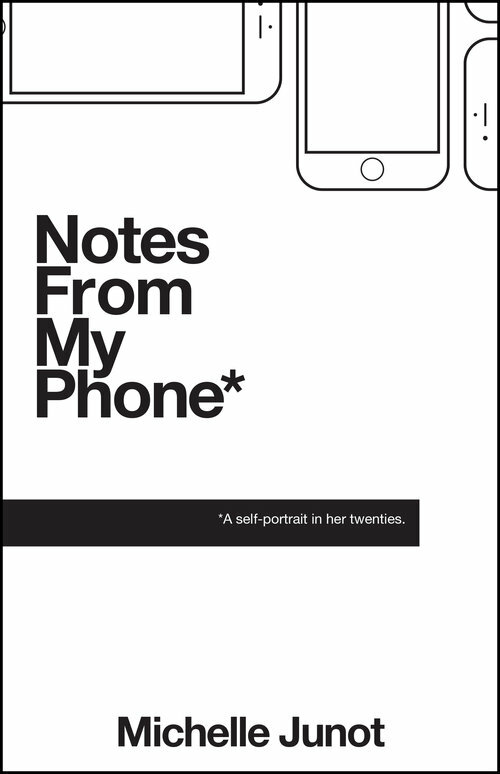 This week Michelle Junot writes about Notes From My Phone*, her experimental memoir just published by Mason Jar Press. If Notes From My Phone* were in your bathroom, it would be the faded, peeling paper you taped to your mirror months ago, encouraging you to remember what’s really important. You taped it there so you’d read it every morning. Now you don’t even see it when you look into the mirror—not really—the same way you don’t see the mole on your face or the tattoo on your hip. You do see your unblinking, camouflaged eyes, though (and that still matters). If Notes From My Phone* were in your home office, it would be the box of negatives from those three rolls of film you developed circa 1998. Hello, it’s 2017. But still, you’re going to keep it. Them. To throw them away would be to throw away artifacts of yourself. And you have to wonder if those small, darkened, flipped images tell a clearer story than the photos they fathered ever could. If Notes From My Phone* were in your car, it would be that quarter you saw roll and heard land somewhere deep under the mechanical workings of the passenger seat three weeks ago. You could get it—sure—but you prefer to leave it where it is. It’s become a “just in case” quarter, and that’s not something you remove before its appointed time. If Notes From My Phone* were in your kitchen, it would be the beach-themed magnet on the fridge. You [not-so-secretly] hate that beach bum. It doesn’t go with your carefully coordinated décor, but it stays held in place with guilt and loathing, reminding you of the sunnier days from someone else’s beach vacation. If Notes From My Phone* were on your sun porch, you’d never find it. That’s the cat’s territory now. Anything left in that room (or any other room for that matter) is his to hide under rugs or knock off tables. And you know that’s how cats are—that’s what your dog-people friends keep saying: you know you own a cat, right?—but still, it’s obnoxious and unappreciated. If Notes From My Phone* were in your carry-on bag—and it should be—it would be the 16+ pens of different colors, sizes, and styles. Because you’ll want to draw. Or journal. Or write notes on the plane. And you’ll need them. When you get back to the city after four flights—two to, two fro—you’ll find them tucked away, unused but content to have traveled by your side the entire trip. If Notes From My Phone* were in your closet, it would be the box growing fat with your letters, your cards, your almost-unwanted, I-really-shouldn’t-keep-those, wish-they-never-existed photos. The box that collects dust and memories and things you cannot bare to throw away. The box you don’t see, you don’t look at, you don’t reach for, because you don’t want to want those things anymore. But you do. You do want that box and everything you’ve given it permission to keep safe. 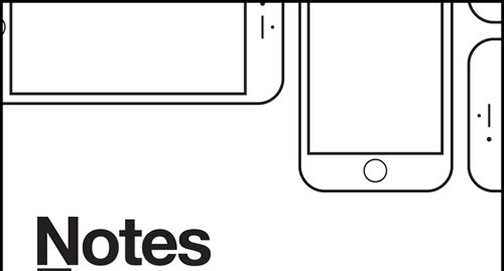 If Notes From My Phone* were in your home bar, it would be red wine. A blend. Something equally appropriate for a hard day, a fantastic day, or entertaining unexpected, but warm company. 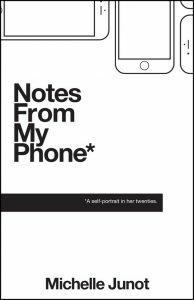 Michelle Junot is the author of Notes From My Phone* (Mason Jar Press, 2016) and and the floor was always lava. She lives in Baltimore, Maryland. You can read more about and from her at michellejunot.com, follow her on Twitter at @michellejunot, or on Instagram at @mjunot.